You have hacked YouTube Hack YouTube: Kill the Annoyances, Improve Your Viewing Hack YouTube: Kill the Annoyances, Improve Your Viewing YouTube is a revolutionary service, but that doesn't mean that it’s without its flaws. There are many features on the site that are designed for convenience, other features that are meant to satiate legal requirements,... Read More and killed some of the major annoyances. Now it’s time to check out some simple tips that will improve your YouTube experience further. 1. Search YouTube faster: If you’re a Chrome user, you don’t have to open up YouTube to search for a video. You can just type or paste youtube.com in Chrome’s omnibox, hit the Tab button, and then type in your search query. When you press Enter, you’ll see the search results directly on YouTube. This is just one of the many Chrome omnibox tricks 11 Quick Tricks To Become A Chrome Omnibox Power User 11 Quick Tricks To Become A Chrome Omnibox Power User Do you want to become an Omnibox power user and save plenty of time and keystrokes? All you need are a few good extensions and a little knowledge of how to tweak the search settings.... Read More you can use to speed up browsing. 2. Declutter YouTube: Visually speaking, YouTube’s web version has a lot going on. In contrast, YouTube’s TV version has a much cleaner layout and is well-suited for keyboard usage. To use the TV version Hate YouTube's New Layout? Try Out YouTube TV Instead Hate YouTube's New Layout? Try Out YouTube TV Instead Enjoy a streamlined version of YouTube that's usable from your couch and lets you follow the channels you love, easily. 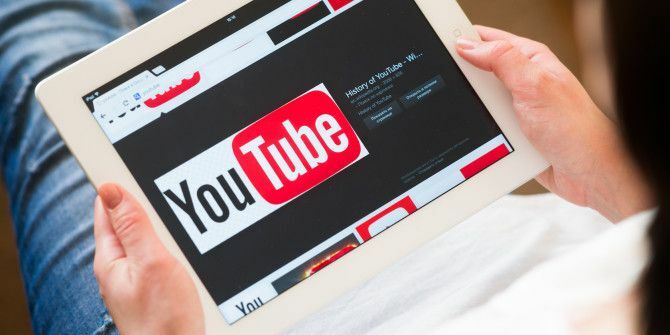 YouTube's TV version just might be the best way to use the web's best video... Read More , all you have to do is visit the url http://youtube.com/tv. 3. Watch videos in slow motion: Want to follow along with a YouTube tutorial, but can’t keep up with it? Slow down the video by clicking on the gear icon in the player controls and changing the Speed setting from Normal to either 0.5 or 0.25. 4. Overlay lyrics onto the video: You don’t have to switch to a new tab to find the lyrics for the song you’re currently playing on YouTube. With Musixmatch Lyrics for YouTube, a Chrome extension, you can see the lyrics pop up automatically, in time with the music, right there at the bottom of the video. Which tiny YouTube hacks or extensions do you absolutely love? Share them with us in the comments!